Some of the U14 Ladies football trainers have received texts and comments from parents of girls (born in 2002) who did not get game time in recent U14 West Cork matches. The policy of the U14 trainers regarding team selection is as follows. All girls born in 2001 (i.e. girls who will be 14 on or before December 31st, 2015) are selected as part of the starting 15 and get to play at least half a game. This is their last year playing at U14 level and the trainers believe that it is only fair that they are on the U14 team. There are currently 10 such girls available for selection, which means that 5 girls born in 2002 are needed to make up the team. The trainers select these 5 girls based on who they believe best fits the 5 positions not filled by the older girls. Regarding substitutions - in tight games substitutes are used strategically (i.e. where the trainers believe that a substitution would increase the chances of Valleys winning the game). When the final result is apparent well before the final whistle then 5 substitutes (the maximum allowed at U14 level) are used. The trainers realise that this policy results in some of the younger girls not getting game time (as happened in the U14 West Cork semi-final & final). Because of this the trainers organised an U13 match against Kinsale on May 7th and will play Kinsale U13s again next week. There will be additional U13 challenge matches during the summer & a competitive U13 West Cork league in the early autumn. In these matches, girls born in 2002 will be preferentially selected. The trainers know that some of the U13 girls are disappointed at not getting to play in U14 matches. These girls will constitute the older U14 group in 2016 and as the current policy regarding team selection will apply next year they will be on the starting 15. Any questions regarding team selection please contact Gerry Reilly on (087) 2505165. Best of luck to the U14 Ladies footballers who take on Keelmeneela in the West Cork FINAL on Monday 25th May in Newcestown at 7pm. Best of luck to the U14 Ladies footballers who take on Clonakilty in the West Cork Semi Final in the Bleach next Sunday 17 May at 7.30pm. 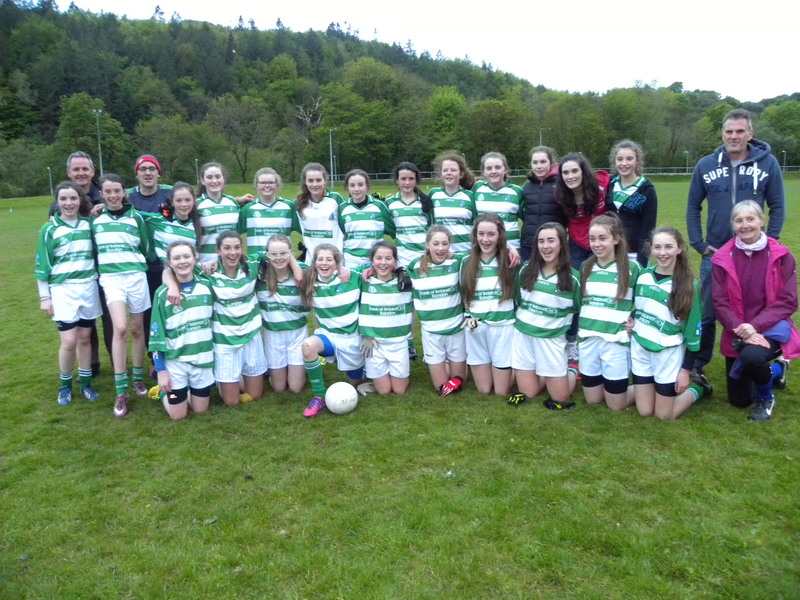 Valley Rovers U14 ladies football team played their last 2 West Cork league matches during the week ending May 2nd. On Monday April 27th Valleys played an away game against Rosscarbery. Valleys played with a strong wind in the first half and ended the half with a commanding lead (7-4 to 1-0). The Rosscarbery fullback line found it difficult to contain Clodagh OâDonovan who was clinical with her finishing. This was a quintessential game of two halves in that Rosscarbery comprehensively outscored Valleys in the second half. Valleys held out for the victory largely due to some frantic defending in the final 10 minutes of the game. The final score was Valley Rovers 8-5 Rosscarbery 4-9. Leanne OâCallaghan, Rebecca Murphy, Rachel Lordon , Alice Murphy, Shauna Reilly, Niamh Hurley, Emma OâDonovan, Carol Cremin, Sarah Lynch, Ellen Fennelly, Roisin OâSullivan, Cliona Riordan, Jane Mulvihill, Nicole Calnan, Kim Muckian, Ellen Fehily, Clodagh OâDonovan. On Wednesday April 29th Valleys played Bantry in Brinny. Niamh Hurley and Ellen Fennelly had picked up injuries against Rosscarbery and were therefore unavailable for selection. At halftime Bantry were winning on a scoreline of (1-5 to 1-0). Bantry would have been much further ahead but for some brilliant goalkeeping by Rachel Lordan. Valley Rovers played much better in the second half but despite this Bantry went on to win the match with a final score of 1-8 to 1-2. Ellen Fehily, Emma OâDonovan and Aine Lynch all produced battling performance in defence especially in the second half. Unfortunately Carol Cremin and Chloe Burton both picked up injuries during the match and hopefully all of our injured players will recover quickly as we have now qualified for the West Cork semi-final which will be played in a fortnight. Rachel Lordon, Rebecca Murphy, Aine Lynch, Vicki Cuskelly, Emma OâDonovan, Carol Cremin, Sarah Lynch, Chloe Burton, Emma Kelly, Roisin OâSullivan, Cliona Riordan, Jane Mulvihill, Nicole Calnan, Kim Muckian, Ellen Fehily, Clodagh OâDonovan, Niamh Hales , Leanne OâCallaghan, Shauna Reilly. Congratulations to Niamh Hurley who was selected for the Cork U14 ladies panel for the Munster final v Tipperary which was played on Saturday and also to Jane Mulvihill who was selected for the Cork Sciath Na Scol primary schools panel. Well done girls. 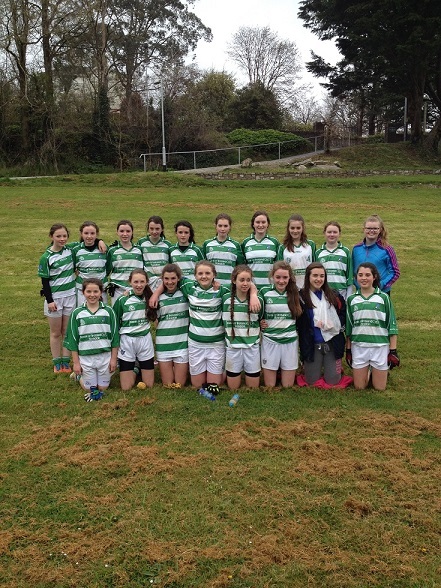 Valley Rovers Under 14 ladies football played Keelnamella in their third West Cork league match on Sunday April 12th. Valleys won on scoreline of 2-5 to 1-6. This maintains the fantastic start that the Under 14 ladies have made in the 2015 season with three wins out of three. The win was mostly down to brilliant defending by the Valley's defenders and brave goal keeping by Rachel Lordon. But for some wayward shooting and the intervention of the goalpost the margin of victory would have been greater. The girls have 2 remaining league matched (versus Bantry & Rosscarbery) and victory in one of these matches should ensure qualification for the West Cork semi-final. Kim Muckian & Niamh Hurley were both unavailable because of injury and we wish them a speedy recovery. On a glorious Bank Holiday Monday Valley Rovers ladies U14 travelled to Clonakilty GAA to take part in the 2015 Feile Qualifiers. There were eight teams taking part Valley Rovers, Bandon, Bantry, Courceys, Kinsale, Castlehaven, O'Donovan Rossa, Clonakilty. We played 3 matches. Our opening game was against Kinsale, this was our toughest match and even though the girls played well Kinsale were the stronger team and won. Our second game was against Bandon. In this game Valleys gave it everything, showed great team spirit, great football skills and determination. It was a closely contested game and Valley's hard work paid off to win the match. Our last game was against Bantry, this was a tight game, Bantry led at half time but the girls rallied together to draw the match. Unfortunately Valleys didn't go forward as only the top two teams went through. Overall it was a great opportunity for the girls to play different teams and play at a quicker pace as the games were just ten minutes aside. Roisin O' Sullivan, Clodagh O' Dovovan, Niamh Hurley, Ellen Fennelly, Nicole Callanan, Sarah Lynch, Carol Cremin, Chloe Burton, Rebecca Murphy, Shauna Reilly, Kim Muckian, Emma O' Dovovan, Ellen Fehilly, Emma Kelly, Vicki Cuskelly, Leanne O' Callaghan, Jane Mulvihill, Aine Lynch. The U-14 team won on a scoreline of 8-2 to 7-1. Valleys played with the wind in the first half and were just a point up at half-time. The girls deserve great credit for their second half performance which saw them extend their half-time lead despite playing into a strong wind. This was due to spirited defending and good forward interplay which resulted in some excellent scores. All 15 girls played excellently but Niamh Hurley, Sarah Lynch, Chloe Burton , Ellen Fennelly & Ellen Fehily deserve special mention for their battling performances. Laoise Collins, Rebecca Murphy, Rachel Lordon , Clodagh OâDonovan, Shauna Reilly, Niamh Hurley, Emma OâDonovan, Carol Cremin, Sarah Lynch, Ellen Fennelly, Jane Mulvihill, Nicole Calnan, Kim Muckian, Ellen Fehily, Chloe Burton. Valley Rovers Ladies U-13 Team had their first match of the season when they took on strong Clonakilty side on Sunday March 29th. A strong breeze made things difficult for both teams and they both took time to adapt to the conditions. Valleys were first to score when Niamh Crowley finished well to the net and Leah Hoey added another point to give Valleys an early lead. Goalkeeper Kate Lynch pulled off a string of excellent saves to keep out Clonakilty and to keep Valleys in touch as Clonakilty found their range with some close range points to lead 0-5 to 1-1 after 20 minutes. At this stage Clonakilty used the wind to their advantage and added a couple of quick goals to pull ahead 2-6 to 1-1 but the girls heads never dropped and the rallied strongly. Excellent interplay and teamwork between Orla OâSullivan and Molly Lynch enabled Valleys to tag on another 4 points without reply and when Niamh Crowley netted again Valleys went into the break 2-6 â 2-5 behind. In the last twenty minutes there was little between both teams and a goal and a point from Orla OâSullivan and an excellent point from a tight angle from Leah Hoey meant Valleys stayed in the game right until the final whistle. In the end Valleys ended up just one point behind on a scoreline of 3-6 â 3-7. This was an excellent first outing from the girls who showed great spirit and teamwork which is a very promising for the year ahead. There were excellent performances from Emma Kelly, Vicki Cuskelly, Niamh Hales and Leanne OâCallaghan but the whole team are to be praised for their team spirit. 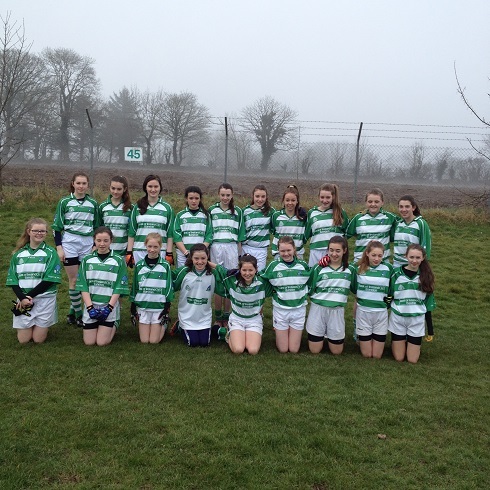 Valley Rovers u14 ladies football played their first match of the season with a practice game against Ballinora in Innishannon last Sunday morning ( 8th February ) . Even though conditions were frosty underfoot, the Valleys got off to a great start when following a long clearance from defence, Nicole Calnan sprinted clear and found the back of the net to give a 1 goal to nil lead. Ballinora fought back and a goal just on the stroke of half time left the score of 1.3 to 0.3 in favour of Ballinora. Valleys found themselves under more pressure in the second half as Ballinora extended their lead before Jane Mulvihill and Ellen Fennelly kicked over points for Valleys, followed by another goal and a point by the impressive Callanan, leaving the finishing scoreline Ballinora 3.6 to Valley Rovers 2.3. This was a good workout for this team, who will no doubt improve as the year goes on. Team on the day: J O'Donavan, Clodagh O'Donavan, Sarah Lynch, Aine Lynch, Shauna Reilly, Niamh Hurley, Emma O'Donavan, Roisin O'Donavan, Cliona O'Riordan, Jane Mulvihill, Ellen Fennelly, Kim Muckian, Olivia Hayes, Nicole Calnan and Emma Kelly. Valley Rovers u14 ladies football began their season last Thursday night with a training session in Scoil Eoin school hall. This was very well attended with 15 girls training for the hour. To begin with this year, we are mixing in basketball training with football skills and this seemed to work well. A big thank you to Scoil Eoin for making their facilities available, this new hall is a great addition to the community. Girls who trained on the night included: Sarah Lynch, Carol Cremin, Niamh Hurley, Roisin OSullivan, Ellen Fennelly, Nicole Calnan, Clodagh ODonavan, Olivia Hayes, Shauna Reilly, Emma ODonavan, Aine Lynch, Jane Mulvihill, Kim Muckian, Ellen Fehilly and Emma Kelly. Training continues again next Thursday night in Scoil Eoin at 8.15pm, all eligible girls welcome.